On October 4, 2018 a coalition consisting of the IAMAW-District 19, TCU, ARASA, IBB, SMART Mechanical, SEIU/NCFO, TCU Carmen, and the TWU Carmen reached a tentative agreement with KEOLIS Commuter Services. This tentative agreement came about after numerous years of some very tough negotiations and even mediation. 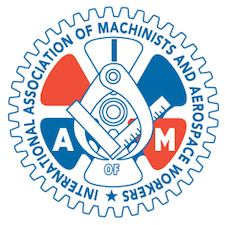 During the first week of November this tentative agreement was presented to our membership for ratification and it was overwhelmingly accepted. This Agreement provides for a 15.5% general wage increase over the term of the agreement. Retirees, employees terminated who are reinstated and the beneficiary of any employee who passed away will receive full retroactive pay. The employees’ Health & Welfare cost sharing has minimal increases, there is also a new H&W plan which will be offered as of April 1, 2019. This plan will further reduce the cost sharing for employees. This Agreement also provides for an additional new holiday, Martin Luther King Day, this has been added as a paid holiday. There were several work rule changes that favor the employees as well as security language negotiated to protect the members if Keolis’ contract should not be renewed with the state of Massachusetts in June of 2022. Keolis is a contractor hired by the state to operate the MBTA Commuter rail in Boston, being a contractor always makes negotiations tougher than usual, however, District 19 along with the other unions of our coalition prevailed in providing a very good agreement that our membership overwhelmingly accepted. I would like to thank President / LC Danny Tavares, III, Local Lodge 318 for his assistance and hard work in helping with negotiating this agreement. I would also like to thank all the Machinists of Keolis for their solidarity, support, patience and understanding during these tough negotiations.